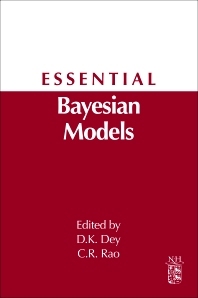 This accessible reference includes selected contributions from Bayesian Thinking - Modeling and Computation, Volume 25 in the Handbook of Statistics Series, with a focus on key methodologies and applications for Bayesian models and computation. It describes parametric and nonparametric Bayesian methods for modeling, and how to use modern computational methods to summarize inferences using simulation. The book covers a wide range of topics including objective and subjective Bayesian inferences, with a variety of applications in modeling categorical, survival, spatial, spatiotemporal, Epidemiological, small area and micro array data. Professionals and Researchers in a variety of fields, including: Biomedical Engineering, Molecular Biology, Computer Engineering, Software Engineering and Biological Sciences.